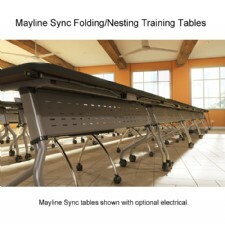 Mayline Sync Folding Training Table 24x72. Single-handed center control mechanism for convenient flip of the top; easily convert from use to storage. Integrated modesty panel with built-in cable management. 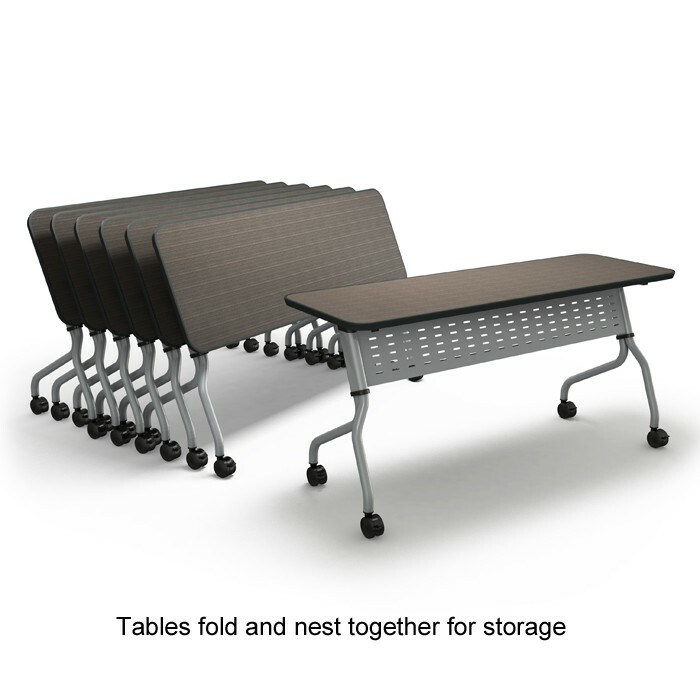 Minimal assembly required; assembles in minutes. Heavy duty silver frames. 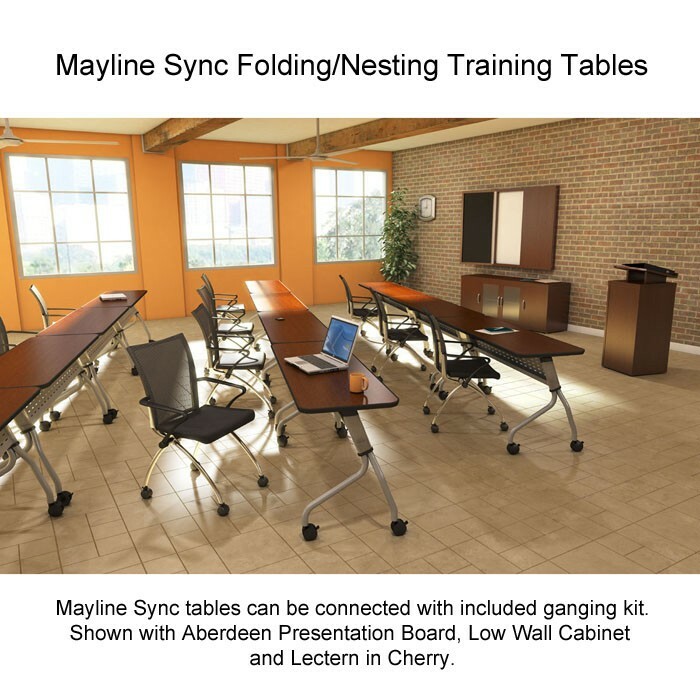 Get in sync with the perfect balance between style and function! 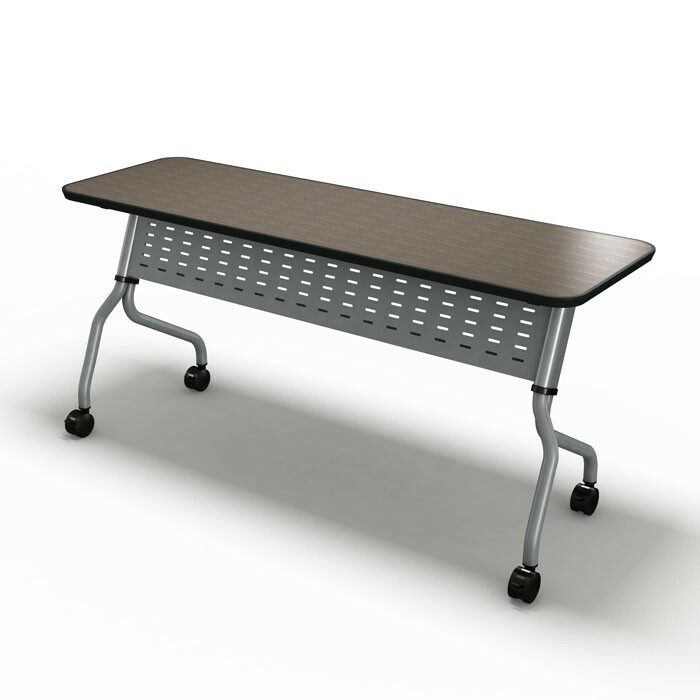 Single-handed center control mechanism for convenient flip of the top; easily convert from use to storage. 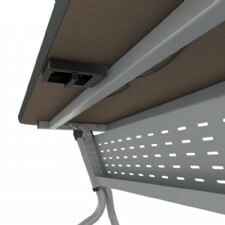 Integrated modesty panel with built-in cable management. 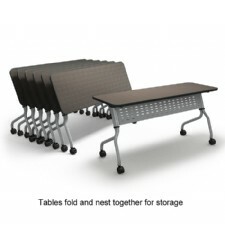 Minimal assembly required; assembles in minutes. Tabletops available in either Thermally Fused Melamine with standard T-Mold or High Pressure Laminate with your choice of (3) edge treatments. 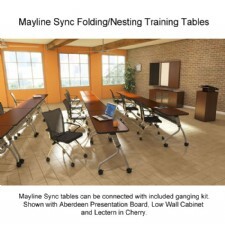 Mix and match table shapes and sizes to convert a workspace. Base is wider than top on 18" W tables. Reference dimensional drawings.